Lili and Goli have argued endlessly about where their mother, Bibijan, should live since the Iranian Revolution. They disagree about her finances too, which remain blocked as long as she insists on waiting for her son–still missing but not presumed dead yet–to return from the Iran-Iraq war. But once they begin to “share” the old woman, sending her back and forth between Paris and Los Angeles, they start asking themselves where the money might be coming from. Only their Persian half-sister in Iran and the Westernized granddaughter of the family have the courage to face up to the answers, and only when Bibijan finally relinquishes the past can she remember the truth. A story mirrored in fragmented lives, Us&Them explores the ludicrous and the tragic, the venal and the generous-hearted aspects of Iranian life away from home. It is a story both familial and familiar in its generational tensions and misunderstandings, its push and pull of obligations and expectations. It also highlights how “we” can become “them” at any moment, for our true exile is alienation from others. Acclaimed author Bahiyyih Nakhjavani offers a poignant satire about migration, one of the vital issues of our times. Lili and Goli have argued endlessly about where their mother, Bibijan, should live since the Iranian Revolution. They disagree about her finances too, which remain blocked as long as she insists on waiting for her son--still missing but not presumed dead yet--to return from the Iran-Iraq war. But once they begin to "share" the old woman, sending her back and forth between Paris and Los Angeles, they start asking themselves where the money might be coming from. Only their Persian half-sister in Iran and the Westernized granddaughter of the family have the courage to face up to the answers, and only when Bibijan finally relinquishes the past can she remember the truth. 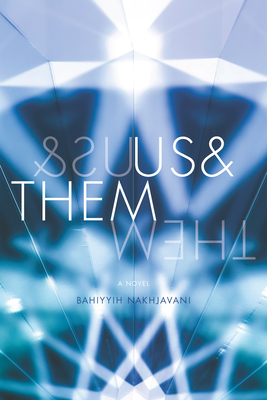 A story mirrored in fragmented lives, Us&Them explores the ludicrous and the tragic, the venal and the generous-hearted aspects of Iranian life away from home. It is a story both familial and familiar in its generational tensions and misunderstandings, its push and pull of obligations and expectations. It also highlights how "we" can become "them" at any moment, for our true exile is alienation from others. Acclaimed author Bahiyyih Nakhjavani offers a poignant satire about migration, one of the vital issues of our times. Bahiyyih Nakhjavani grew up in Uganda, was educated in the United Kingdom and the United States, and now lives in France. She is the author of The Woman Who Read Too Much (Redwood Press, 2015), The Saddlebag (2001), and Paper (2005), as well as non-fiction works about fundamentalism and education. Her novels have been published in French, Italian, Spanish, German, Dutch, Greek, Turkish, Hebrew, Russian, and Korean.